In the Martin & Sylvia: Nature School, "Birds and Squirrels" story, Sylvia spends most of this week's Nature School day annoyed with Sofia because her friend won't do the same amount of work. Momma reminds Sylvia that everyone has their own way of helping out, but Sylvia doesn't fully appreciate this until a pair of squirrels demonstrates this lesson in their backyard. 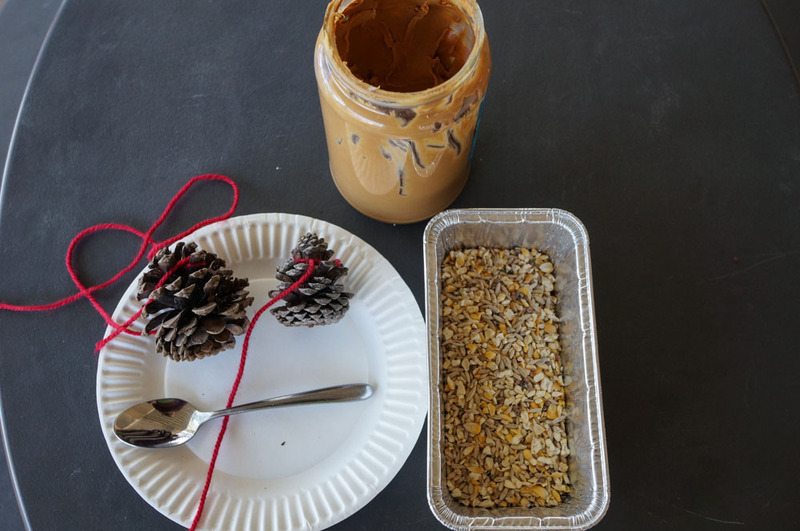 We are joined by our Sparkle blog curator KC who will make pine cone bird feeders. Martin and Syliva have lots of birds and squirrels in their backyard. We live in the desert and don't have a lot of squirrels, but we do have lots of birds. In the dry seasons it's very hard for the birds to find things to eat, just like it is in colder regions when everything is covered in snow. 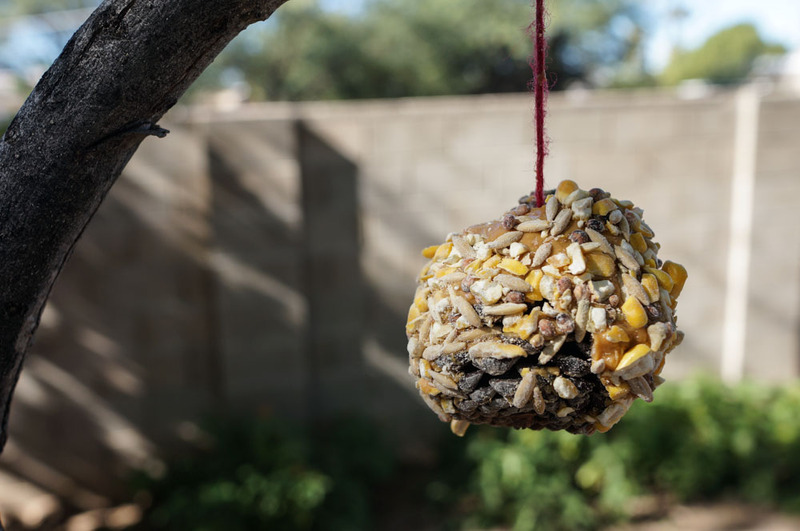 You don't have to buy a fancy bird feeder to help out our furry and feathered friends. You can make your own! With a few simple ingredients and 5 minutes you'll have your own bird or squirrel feeder. 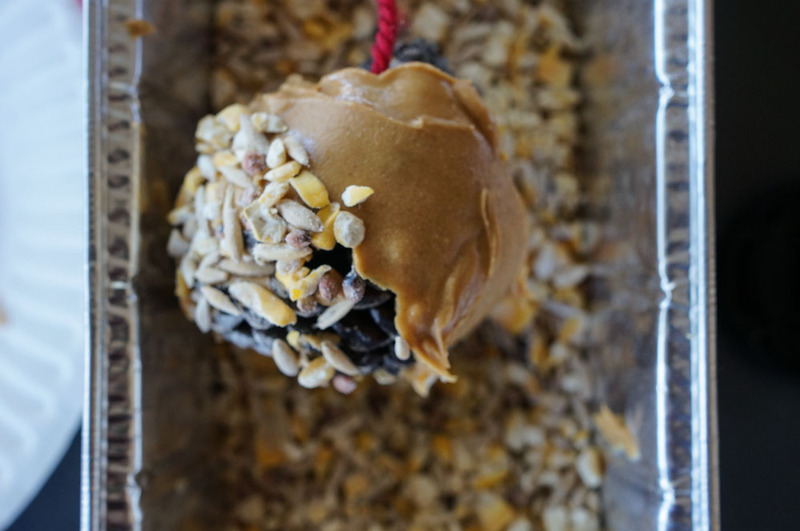 Making these pinecone bird feeders takes just a few minutes. Collect as many pine cones as you wish to make birdfeeders. Make sure they are in good condition and not broken. Tie a length of string or yarn around the top few kernels and knot it well. 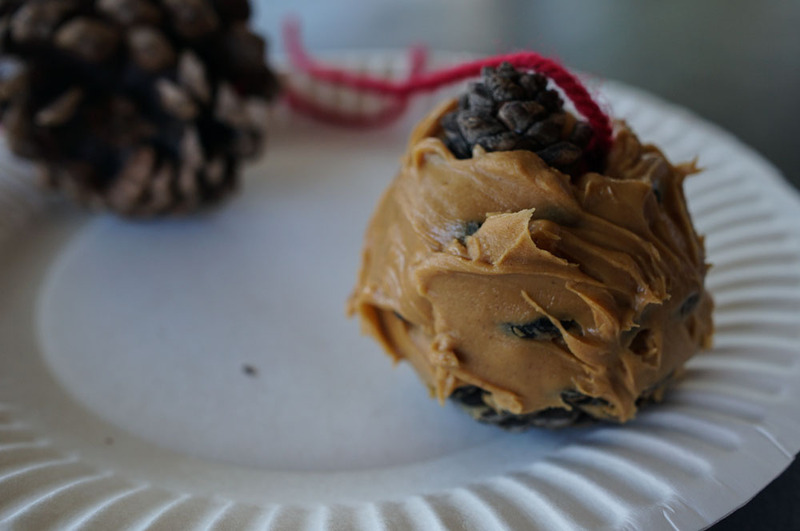 Next holding the top of the pine cone in one hand use the spoon to smear peanut butter on pinecone. Make sure the layer is thick enough to hold the bird seed on the pine cone. When the pine cone is covered in peanut butter, place it in the contianer of bird seed and roll it around and cover it all with bird seed. When the pinecone is covered find a branch in a near by tree and hang it up. Note: it make take a few days to a week for birds to find your feeder if you haven't previously had a birdfeeder in your yard.